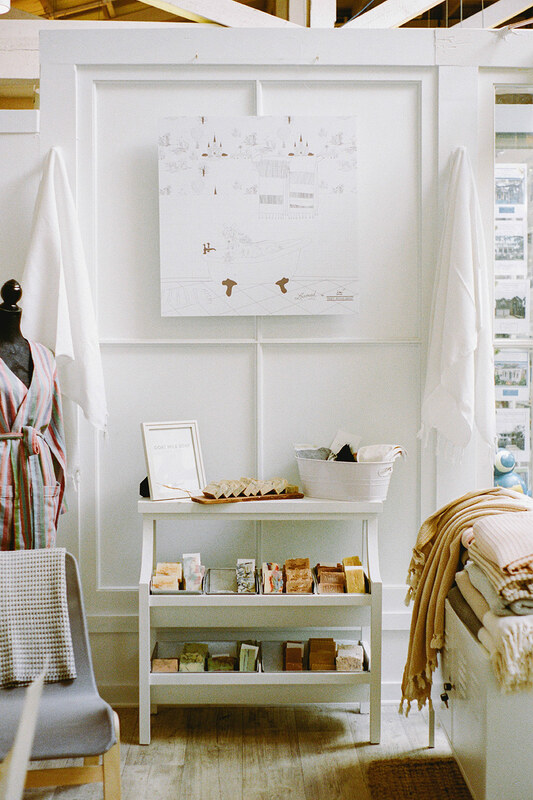 In the United States, the resurgence of handmade, artisan goods is hard to miss. Thoughtful, human-made products have gained so much popularity that they’ve begun to supersede their industrial rivals. It’s a post-Industrial Revolution equipping talented makers in this country to make a living at an art or a craft. They’re risk-takers and subculture heroes, inspiring anyone with a dream of making things by hand, or pursuing a slower, more deliberate career. But in most of the world, efficiency and high volume still yield the biggest bottom dollar, and handmade crafts don’t carry the same hardwon hype. In a way, Molly Babineaux stands out among the makers, artisans, and craftsmen who daily risk their livelihood on the popularity of their craft. She doesn’t make furniture or jewelry or some one-of-a-kind art. She makes decisions, and ones that help keep an ancient art alive around the world. 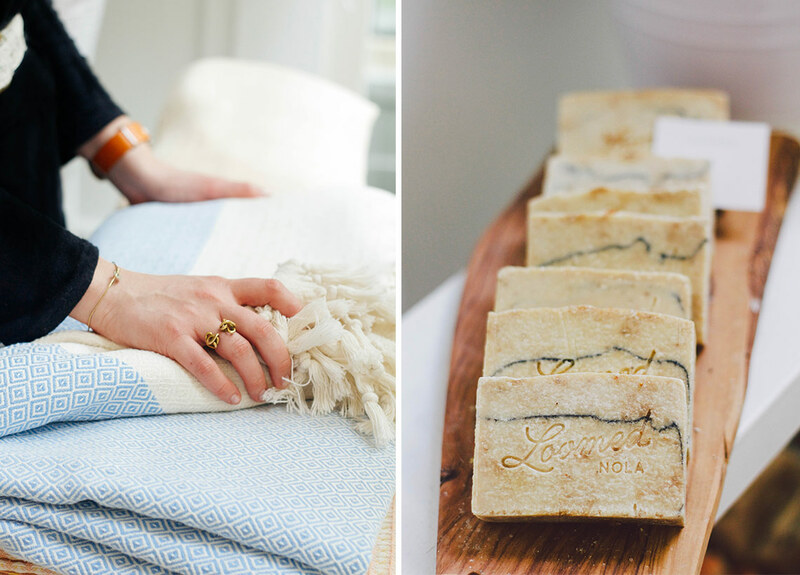 She’s a testament to the impact of handmade products, and their innate worth. 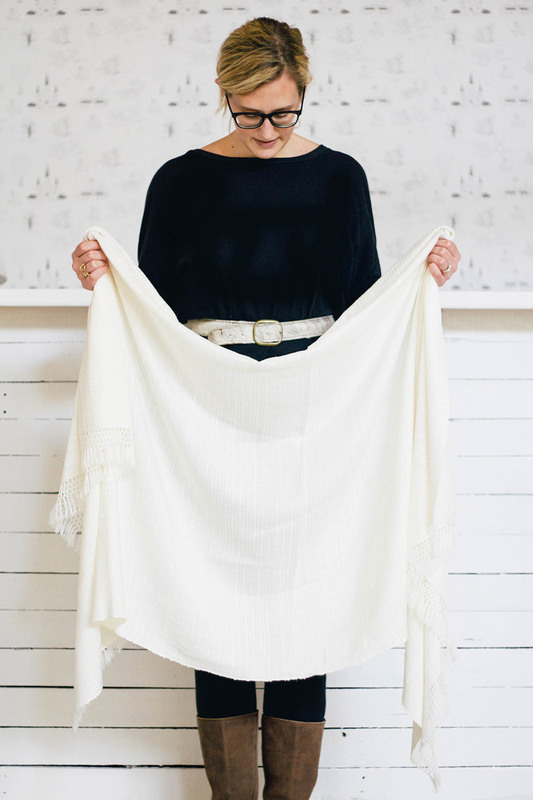 A savvy adventurer with an eye for beauty, she’s made it her career to revive the heritage of handweaving families in Istanbul, Turkey, and cultivate a market for a rare art on the brink of extinction. A tiny, graying pup springs out of a built-in shelf as we swing open the door to Loomed NOLA, Molly’s shop in New Orleans’ Garden District. It’s snugly tucked in a renovated ice skating rink that once also served as a barn; open, airy, and lit by the mood of the sun. Alice holds rank as a sort of mascot for Loomed, and we can see why as she excitedly shows us around. 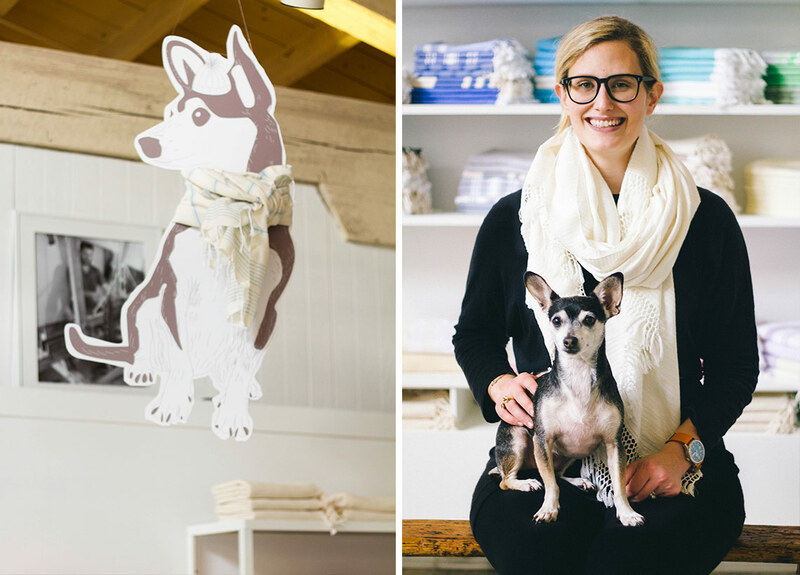 Graphic cutouts of her in plush scarves hang from overhead, decorating the space with holiday charm. It’s almost Christmas, and they’re ready for it. line-drawn poster, demonstrating the use of these beautiful mysteries populating the shelves below. The amount of cotton in the room overwhelms, like a tidal wave of clouds to the senses. It’s in this mesmerized state that we learn how Loomed NOLA began. I still remember the first time we walked into that shop. It was crazy; it was like the Willy Wonka of textiles. The first time Molly traveled to Istanbul, she was studying abroad with a friend. It was one of many trips she took during her college summers, just exploring the world and picking up perspective along the way. But of all the places she traveled – from Germany to South America – Istanbul stuck with her. It was exotic, but manageable enough. When she finished college, the same friend who had been with her in Turkey decided to move back. It seemed like a good idea. Furthermore encouraged by that sneaking feeling that if she didn’t do it now, she never would, she invited her now-husband, Paul, to come along. And he did. They decided to stay a year, just working odd jobs in the more affluent community in Istanbul: tutoring Turkish kids for the SAT, helping them decide on American universities, nannying. That sort of thing. When Christmas rolled around, they decided to send some gifts to their families in lieu of a return trip home, never expecting that shopping that holiday would change their entire lives. At this point in their stay in Istanbul, neither Molly or Paul had much of a plan for their return stateside. Molly was trained as a teacher, but already knew that wasn’t where she wanted to land her career. “It was strange, because I didn’t really feel anxious or nervous about it, I just kind of knew something is going to happen when we’re in Turkey, and that’ll show us what we need to do.” Falling in love with their pestemals felt like that something. They decided to go back to the same shop and convince the weavers that they could sell their products wholesale to shops in the U.S. “We joke with the people that we work with now because they thought I was just another customer and they were about to give me the whole spiel and I just plopped down on their bench and I said, here’s what I want to do, how do we do it?” The weavers, as lifelong entrepreneurs, already had a vision in mind. What they really wanted was for someone to take their work back to the states and create a whole brand for them. It would seem they were just waiting for the right person to come along. I didn't really feel anxious or nervous about it, I just kind of knew something is going to happen when we're in Turkey. The weavers asked Molly and Paul to come work the retail end of their business for the rest of their time in Turkey, to get to know the product and the people behind it. “That was really a game-changing experience. We really got to know the community of weavers in Turkey. 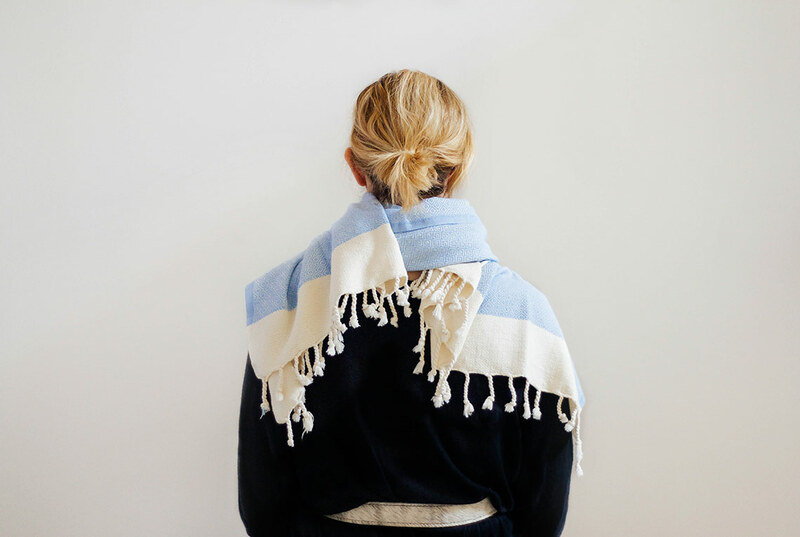 We got to know the breadth of the product.” They also learned just how rare these handwoven pieces were. 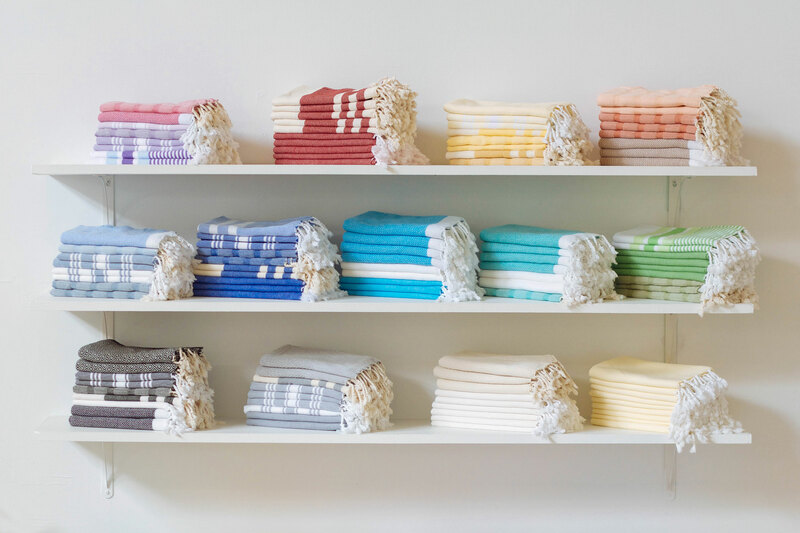 “Once we saw how people responded to the plush towels and the silk pieces, or to the blankets, or to the kese, that widened our appreciation for all of the products.” Seeing her customers reaction to the products they carry is still one of Molly’s favorite parts about Loomed. One of the most incredible things we learned from Molly was how different organic cotton is from the conventional stuff most Westerners wear daily. 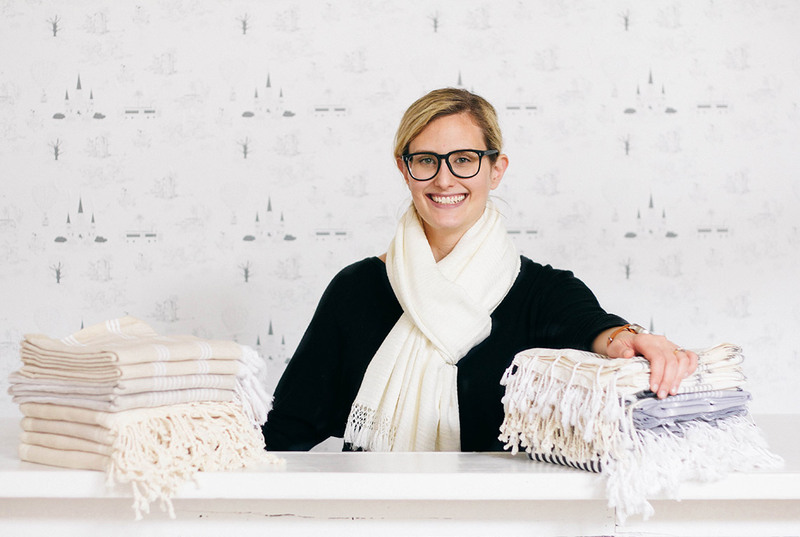 She explained to us how so many “Turkish towels” sold in the United States are actually factory-produced, and that you can feel the difference immediately when you touch a handmade piece. To demonstrate the point, she keeps a factory made pestemal in the store. It’s similar in color and size to the other pestamels she keeps, and less expensive, but it just feels different. Another advantage of organic cotton is it’s longevity. 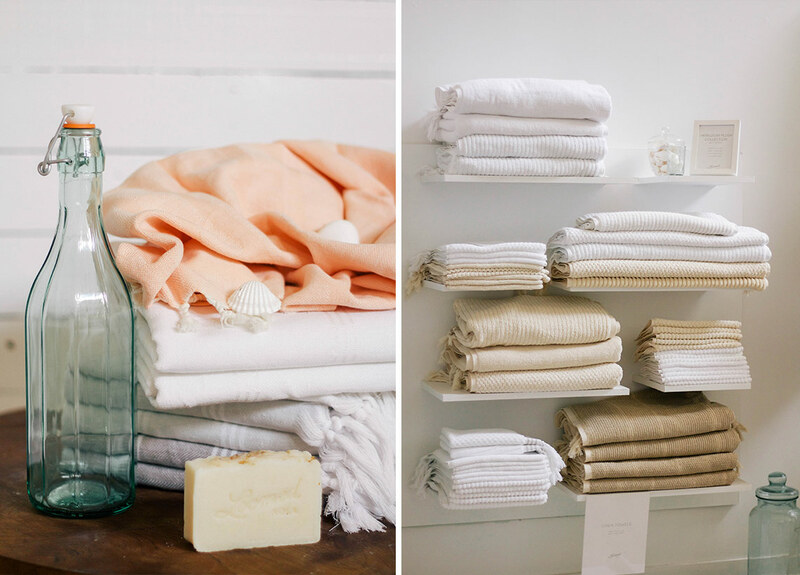 Instead of wearing thin, organic cotton actually improves with use. It get softer as you wash and wear it. And when well-cared for, it can last half a lifetime. One towel. Why would anyone use anything less incredible? When their stay in Turkey ended, Molly and Paul came back to New Orleans and began figuring out how to make Loomed a business. “At that point we were living in a renovated double shotgun in the Irish Channel. We had this kind of front room that’s almost completely wasted space, which was actually kind of perfect, because we turned it into a little pop-up shop.” They hosted preview parties, and a friend who worked for the local newspaper did a write-up on their shop almost immediately. They were still planning on an exclusively wholesale operation, but doors kept opening for them to open a shop in The Rink, the space they still inhabit. Crazy enough, they just went for it. The real secret is that there is no secret. Since then, they’ve learned volumes about running a small business. One of the most important lessons Molly says, is not trying to do everything yourself for your business. “If you can’t afford to pay somebody to do it correctly, then you can’t afford that thing yet.” She also shared some advice on what could be referred to as the ‘small business comparison complex.’ A quote she’s reminded of when she tells the story of how they made Loomed what it is today is that “The real secret is that there is no secret.” She makes it plain that they had a lot of help along the way, and in no way paint themselves as having won the “business lottery.” There is no formula to Loomed, just hard work spanning two continents. And they’re still creatively figuring things out. 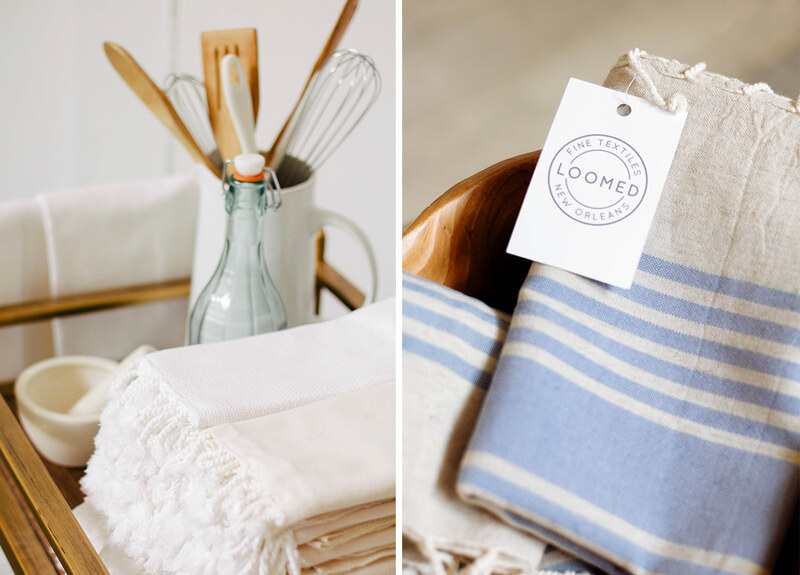 Other items in the store expanded the Loomed narrative. Stationed together is an array of handmade soaps and traditional Turkish keses, or exfoliating mitts. “We say this is for the committed exfoliator,” she tells us, lifting a grey, rectangular mitt. The kese is used in traditional Turkish bath houses, or hammams. 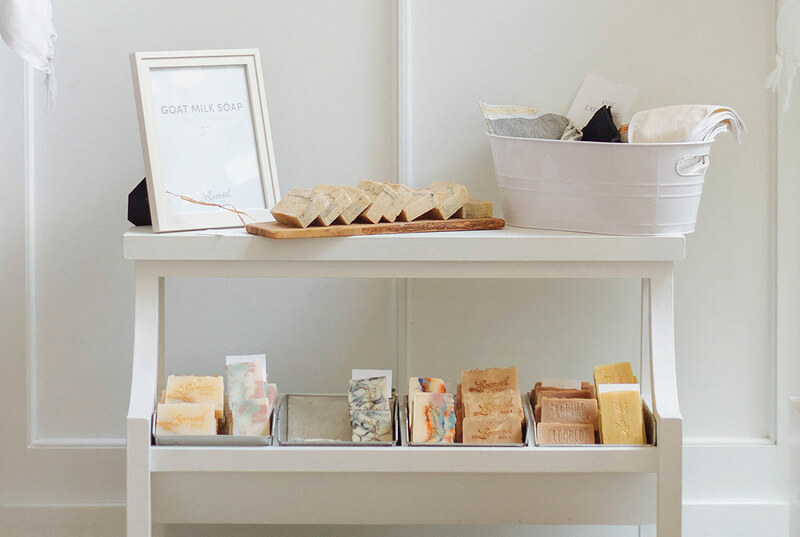 “One dream of ours is that we’d love to open up a hammam, or at least like help in opening up a real traditional one.” The soaps keeping the kese company (though strictly not meant to be used in tandem) are pure goat milk, made by Molly’s mother. They’re exquisitely colorful, some glittering, some with softened, rocky edges. All bear an etched mark with the shop name, exposed when it catches the light. She credits her mother here, an artist and craftsperson herself, for the appreciation she has for these textiles. “I was raised with a sort of an innate appreciation of something that’s handmade, and we were really attracted to the idea that its beautiful, it’s special because it’s handmade, but it’s also functional.” Everything in the store embodies this sense of honoring the craftsman behind it. In reviewing this time with Molly, I’m reminded of my favorite piece of advice she gave. We discussed the price of handmade items, the effort it takes to seek them out, and the discipline required to wait until you’ve found – just as they did in Istanbul – the right thing. She encapsulated an idea that, though not a new one, is still a revolutionary notion, even in this heyday of handmade items. She reminds us that, “Shopping locally is a mindset, not about a location,” and what a joy it is to “buy fewer, better things.” It’s an investment to shop small, to buy higher quality, handmade products of any kind. Maybe this is just the time to make the switch, and celebrate a little more the story behind every purchase we make. In doing so, we help Molly and others like her breathe new life into a waning art that’s worth saving. You can invest in the livelihood of weavers in Istanbul by treating yourself or someone you love to any number of authentic, organic cotton Turkish textiles.